Uninspired by his job as a Distribution Quality Manager, Adam decided it was time for a career change. After considering his interests, Adam decided the web industry was an ideal fit for him. The first step was to learn to code, so Adam turned to Treehouse. Over the next 3 months, Adam learned to code, began freelancing in his free time and gradually built up his online portfolio.The confidence and experience of working on his own projects led Adam to land a year contract as an apprentice Software Developer. 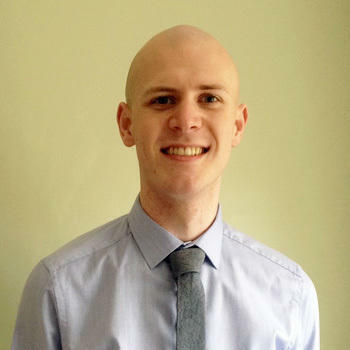 Adam is now embracing a new career that he enjoys and is looking forward to continuing to progress it into the future. Treehouse has helped me gain workplace standard knowledge at the same level – if not higher than – a college course or a degree. What drew you to the web industry? It was Valentines night 2014, we had a meal out booked a great hotel called the Crown and as my girlfriend slept I was up for some odd reason watching the news and thinking about my future. I was currently in a career that I just fell into through hard work, but I didn't want to be there within the next few years. So I got thinking about what I was good at. Computers, Maths and Physics, helping people out and a bit of creativity came to mind. I put it all together and said I need to get into the web industry! Not much more to it, but I definitely made the right choice. As I said, I needed to get into the web industry and at first, I didn't have a clue how. After a few weeks of research, coding and learning (the hard way!) I found Treehouse and heard it was one of the best sites for learning online so I signed up! Whilst learning with Treehouse I was a Distribution Quality Manager for one of the world top online retailers. You recently landed an apprentice Software Developer position. Tell us a little bit about how your career has evolved since learning with Treehouse. Well, it started small with a few little web applications within my workplace to help me out, similar to the FVD Speedial but with internal work related links. After 3-4 months I had an online Portfolio of my websites or projects and kept adding and improving it to the point where I started freelancing in my spare time to gain some experience in dealing with clients and that small bit of experience helped me land the apprentice Software Developer role. For me personally, I love that Treehouse isn't paper-based, you're not so much studying your just delivering results from your very first online course. I would feel comfortable walking into any developer/designer role knowing the languages and the applications used because I've already done all that hard work with Treehouse. To summarize what Treehouse has done for me its helped me gain workplace standard knowledge at the same level – if not higher than – a college course or a degree, and for the small price of $25 a month. In total, I think I've spent less $300 with Treehouse and got a job in the career path I wanted over 12 months. What more is there to say? If you want to go into the web industry sign up! Well of course, I have this 12-month apprenticeship, and my personal plans within 3-5 years are to be a very experienced developer or a lead developer with a small team. Luckily my Boss's plans – if all things go well – are to have me as a lead developer in less than 3 years depending on my skillset so this job fits me perfectly! Read blogs and tips whenever you can! Every language or application has its pros and cons and it will benefit you greatly knowing them. I'm not the best designer or developer, but I learn things quickly and I understand which languages, frameworks and applications to use and when to use them. Having this knowledge helped me a huge amount in the interview. In my eyes, there could be nothing more embarrassing than being asked which languages and tools you would use for an application and why and not having a clue! Lastly if you’re stuck on something never give up on it, there's always a way round it and the Treehouse Community is a very useful place, make sure to use it and contribute to it.